This fun little piece highlights some of the weird and funny high school mascots across Texas. Published for Culture Trip in July 2018. 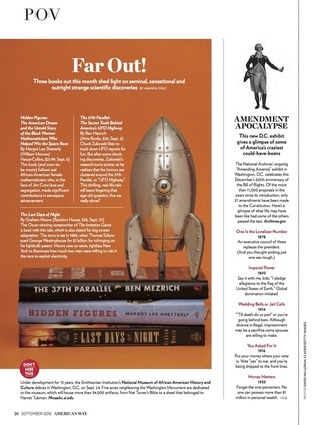 This short piece from the September 2016 issue of American Way is the book roundup for the month. I chose three science-related books about topics that aren't usually reported about. To read the full issue, click here. 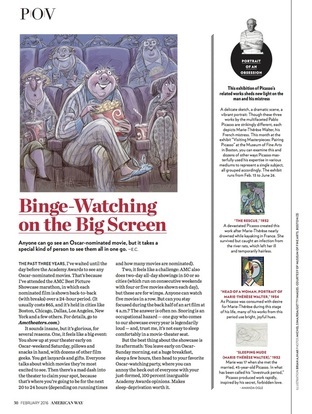 This piece is from the August 2016 issue of American Way. It's about the organization Right To Play and some of the Olympic athletes that work with the organization. To read the full issue, click here. This piece for the February 2016 issue of American Way discusses an exhibit featuring paintings from Pablo Picasso that focus on his many mistresses. To read the full magazine, click here. 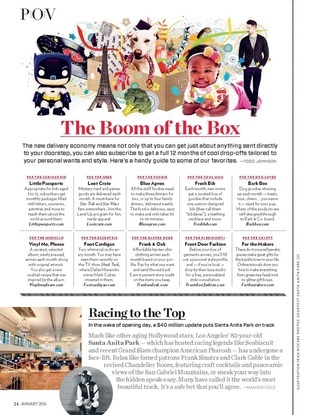 This piece for the January 2016 issue of American Way talks about the new renovations to Santa Anita Park, a historic horse racing track in Los Angeles. To read the full magazine, click here. 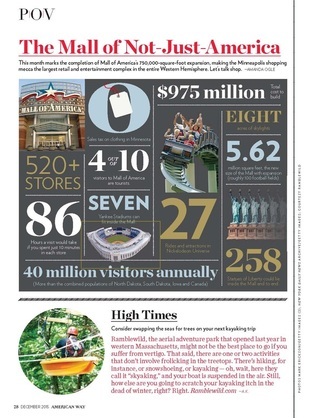 This piece for the December 2015 issue of American Way magazine breaks down the numbers of the Mall of America, the largest retail and entertainment complex in the entire Western Hemisphere. To read the full magazine, click here. For this story I interviewed Army captain Zach Fike to discuss his organization Purple Hearts Reunited. The organization is the only one in the country that returns lost medals of valor to veterans and their families, and the favor doesn't go unnoticed. 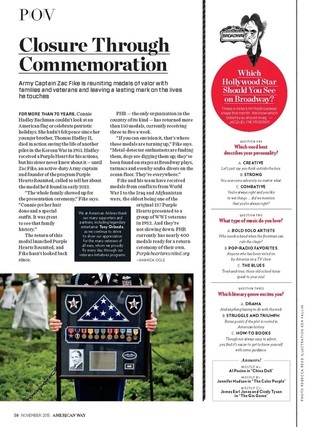 This is from the November 2015 issue of American Way magazine. 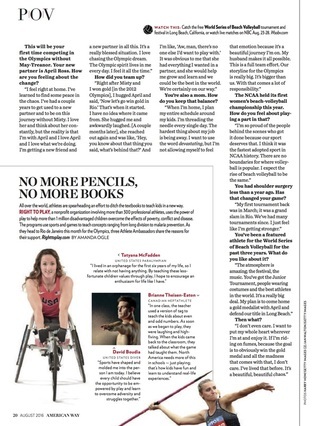 The full magazine can be found here.